Drivers from across the country immediately recognize FedEx from its familiar orange and purple color scheme, traveling through neighborhoods and areas populated with businesses in order to deliver goods to their clients. A FedEx driver is among the most valued and well-respected truckers on the road, known both for their contributions to the everyday life of those they serve as well as the continued diligence they provide in delivering goods around the clock. 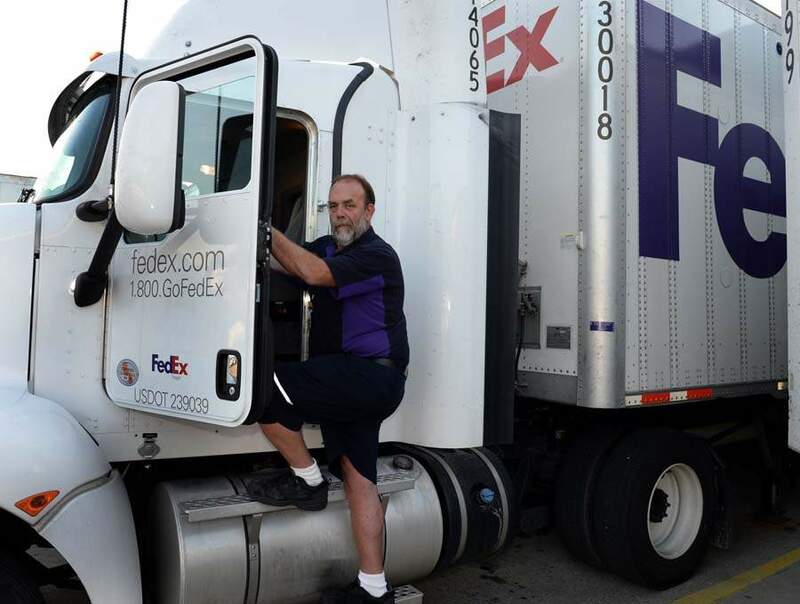 Though perhaps not a position from a traditional trucking company, FedEx drivers nonetheless are top-earners in their field and find themselves in a league of truckers that are certainly traditional. With an ever-growing presence on roadways in the country, FedEx drivers find themselves treated with respect and admiration, as well as an annual salary that is quite considerable as well. Compared to several other trucking companies based in the United States, a FedEx driver salary ranges towards a respectable amount of pay within the trucking industry. Drivers with FedEx generally see $45,832 on an annual basis. Compared to many other trucking jobs offered by companies, FedEx finds itself quite competitive among many trucking fleets. However, many drivers know FedEx not just for its pay, but for the benefits it offers its drivers in addition to a competitive salary. Increases in salary: Drivers who perform well do not go unnoticed at FedEx. There are multiple fashions and opportunities for drivers at FedEx to see a bump in their annual salary if they routinely go above and beyond and demonstrate the core tenants of performance put forth by their parent company. Variable Pay: Just as the individual trucker is rewarded for their solo efforts, FedEx also recognizes the importance of contributing to a team. Being an earnest part of the FedEx team will ensure that a driver sees a bonus in pay. Drivers receiving this pay will also find that they are still recognized for their individual efforts in a team, and will be monetarily awarded accordingly. Pay for Time Off: Alongside a driver's annual salary they will receive pay every year for time they may need to take off. These circumstances in which a driver will be compensated for paid time off range from many occasions, with weddings, maternity leave and other family-related issues seeing pay. Pension: FedEx goes so far as to offer financial thought and pay for a driver after they retire, ensuring that their career following FedEx is financially fulfilling and that their salary does not simply end with their job. FedEx cares about a driver's financial stability and one's longevity in maintaining monetary success. Options for Stocks: Drivers consider themselves lucky when they can work for a company that offers an entry into a company's stock game. Investing in FedEx stocks allows drivers to routinely see more pay and allows their bank accounts to thrive alongside the success of the company. While the annual pay that a driver with the delivery company will see is an important aspect of the job, there are other factors that may lead to personal success that goes hand-in-hand with a positive statement on one's paycheck. Company culture, room for growth and grounds for development are all ancillary perks that FedEx offers to help stimulate an environment of prosperity and to allow drivers to continue to find an annual pay that works well for them. 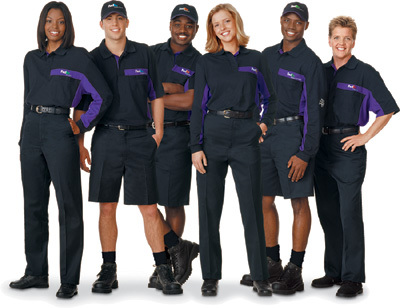 Promotions To Current Employees: Workers at FedEx are those who are considered first for a new job or promotion within the company. With this practice in mind, drivers can frequently see opportunities to make more money every year with new responsibilities and positions at FedEx. Management Programs: For those with the skill or the want to manage others within the company, FedEx has built-in programs to help them learn how to step up their occupational game. Drivers at the company frequently report that through these programs they have the chance to become a driver manager or oversee fleet operations, gaining new perspective within the infrastructure of FedEx as well as a new pay structure to go with their updated job title. Workplace Diversity: In promoting a wide variety of ideas and perspectives, FedEx is not just an enlightened company, but one that fosters a great deal of thought that often leads to innovation and better business practices. 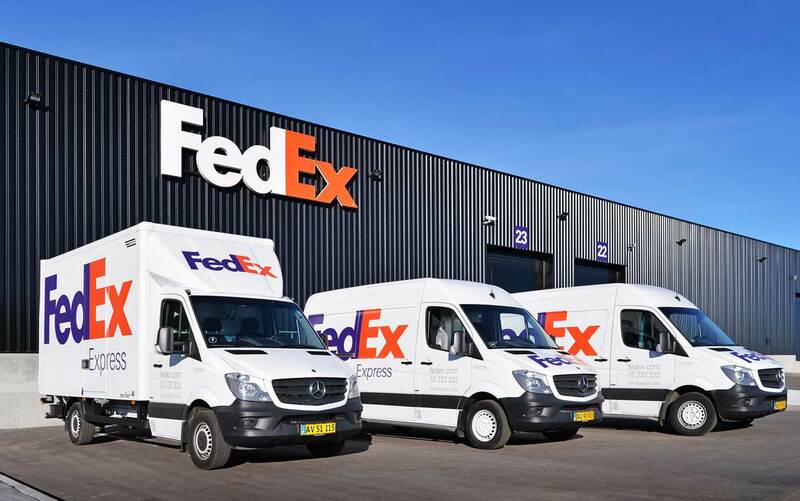 As FedEx evolves and becomes more efficient, it allows those within it to see the immediate benefits that may lead to better pay and more instances in which one may grow. As mentioned above, those who get behind the wheel of a semi for FedEx will see a great deal of miles for every run they are sent out on and will generally find an annual salary of $45,832. Speaking of miles, many drivers at FedEx reportedly find as little as 2,400 miles a week – giving drivers an opportunity to supersede the above annual figure. Generally speaking, long haul drivers with the company will see a more enhanced annual pay than those working in the ltl division or the more common "FedEx Ground" position. More miles: with more miles in which the driver is actively on the road, there is more potential to get money according to how frequently one runs. How Well Does FedEx Freight Pay? Like many other large entities, FedEx also sees a freight-oriented division that is perhaps more akin to a traditional trucking company. Rather than hauling goods for users who may have ordered items off Amazon, FedEx freight deals with larger and perhaps more complex cargo. Drivers with FedEx freight generally earn slightly more than FedEx Express truckers, seeing salaries per year that are inflated to nearly $49,000. Greater restrictions on who qualifies as a driver. Still, despite the perceived pressure put on to FedEx Freight truckers, many employees report the highly-coveted hourly pay, with a starting base of $24 an hour. Drivers in this division also often see bonuses provided in cash, starting at $200 and reportedly ranging up to $23,000 depending on the situation. FedEx Express – Is the Pay Worth the Work? To work for a highly recognized and revered trucking company is one matter – to make some great pay from it is quite another. However, there seems to be very little deficit in the pay that drivers receive and the extra bonuses that FedEx offers for the amount of work that needs to be accomplished. No matter what division a driver is working in for FedEx, its seems as though multiple bases are covered in pay for many occasions and circumstances that can bump up a driver's yearly pay.